Vasyl Lomanchenko is a real boxer's favourite. The things he does in the ring - the angles he creates, the moves he makes - might not be immediately obvious to a layman, but the boxing purists love to watch him. The intricacies of his approach are a sight to behold; I'm retired but he makes me want to go back into the gym and train to see if I can recreate the moves! He is taking boxing to the next level. The Ukranian has - incredibly - won three world belts in his first 12 fights as a professional but what people might not remember is that he lost his second fight, to Orlando Salido. Given he his now considered the world's best pound-for-pound fighter, hopefully people will realise that being unbeaten isn't the be-all and end-all. Losing one fight doesn't mean you're washed up - in fact, taking on a legitimate world champion in only his second fight was something to be applauded. It's going to be a tough night for Anthony Crolla. 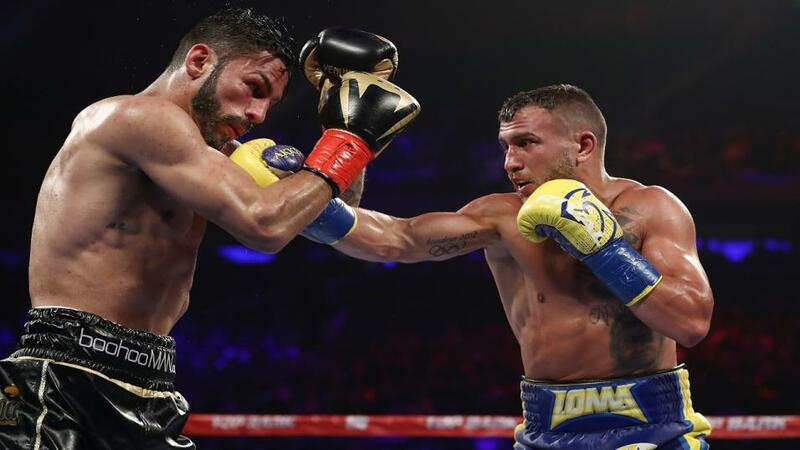 He performed creditably in both fights against Jorge Linares and wasn't out of his depth at all, but you could see the different levels in class. The British man is a world class operator, but it's not quite at the elite level of Linares and Lomanchenko. But while Crolla is a massive underdog who no-one - probably not even people in his own camp - thinks can win, he has to believe he can do it. The underdog can have his day in boxing, as we've seen many times. For example, absolutely no-one gave Lloyd Honeyghan a chance when he took on the pound-for-pound best fighter in the world, Don Curry, back in 1986 in Atlanta. But the Ragamuffin Man from Brixton ground the American down and stopped him, in one of the best victories by a British boxer we've seen. 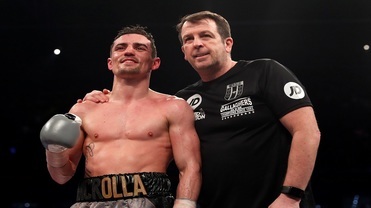 A Crolla win on Friday would be one of the biggest upsets we've seen in the past 10 or 15 years, so to do it he'll have to leave everything out there. To have any chance, Crolla has to drag Lomanchenko into a dog fight, make it rough and tough and blunt some of those skills. There are no technical areas Anthony is better on, but he is more seasoned in terms of rounds boxed and needs to use all his smarts. Crolla will need to accept it's not going to be a fun night for him. He will be made to look ordinary at times, but will need to hang in there and stay in the fight. Lomanchenko is a phenomenal fighter, but the fact Linares was able to knock him down shows that he's not The Terminator; he's human. One thing we know about Anthony is that he has a big heart, one of the toughest around, and Lomanchenko isn't a one-punch specialist so I'm expecting this to go to the later rounds. The Ukranian's extra skill levels will eventually break Crolla down, so I'd be backing a Lomanchenko stoppage in rounds 7-12 at 7/5.